When I first began recipe testing for a golden latte, I realized quickly that I hadn’t tried enough of them to know what they should truly taste like. 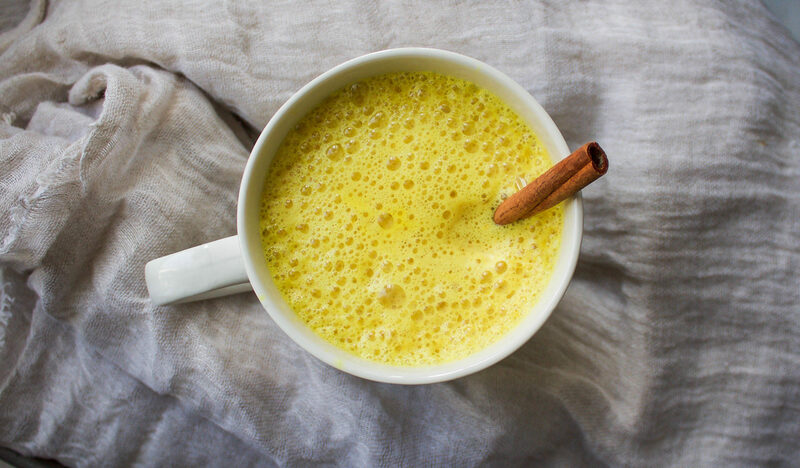 I know what is most important is that it tastes good, but I also wanted the concoction to be reminiscent to what has been a popular drink for centuries in India known as ‘Haldi dhoodh’. So after ordering enough turmeric lattes for a lifetime, I realized that most of them tasted delicious and my favourites had other spices to counteract the overpowering turmeric taste. 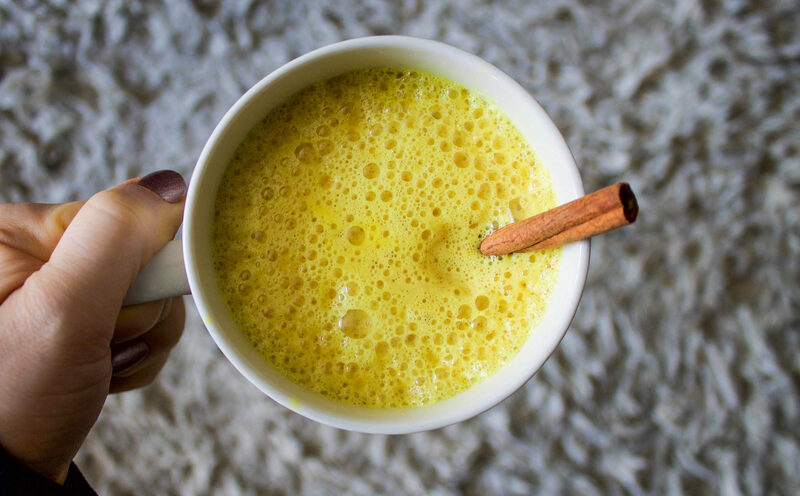 Not only is this drink an anti inflammatory and immune boosting elixir, but it is also a tasty soothing coffee or tea alternative. I personally enjoy it as a soothing afternoon treat but anytime of day works! • 1 cup hot dairy free milk of choice, homemade is best! *use a back of a spoon to peel! 1. Warm dairy free milk in a pot. 2. Add all ingredients into a high power blender. Blend until smooth and frothy. If you didn’t grate your fresh ginger or turmeric, you might need to blend a few times for a smooth consistency. 3. Serve with a cinnamon stick.